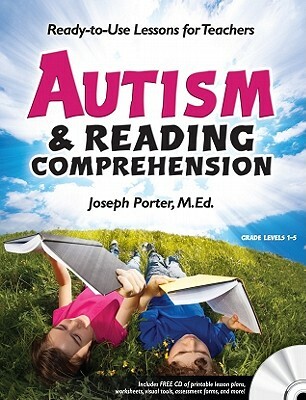 Autism and Reading Comprehension by Joseph Porter, M.Ed. Ready to use lessons for teachers. The predictable format, repetition, and routine of these lessons will create a relaxed learning environment, while the variations in the topics will hold students’ attention and help them generalize the reading skills they need to succeed. This entry was posted in Our Library and tagged Autism Spectrum Disorder, books, Education. Bookmark the permalink.